The PCT (Patent Cooperation Treaty) allows simultaneous patent solicitations in multiple countries through the use of a single application. This system unifies the international patent solicitation process and produces the same legal as if your firm had applied for individual patents on a country by country basis. The PCT process has consequently saves your company time and avoidable, additional expenses. Your international patent can be solicited directly or on a country-by-country basis within the first 12 months of your Spanish patent application date. What Are the Two Phases Involved in Applying for an International Patent? Upon the application for the International PCT, your national application may claim a priority date. During this step, an International Search Report is obtained and an International Publication Occurs. The maximum duration of this internationalization is 18 months. 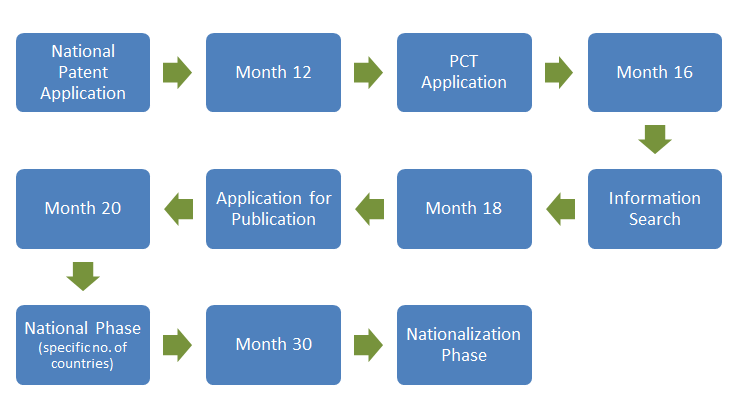 The national application is the first step in receiving a PCT patent. This phase includes a formal presentation to the PCT office in the product´s country of origin and in those additional countries where the applicant seeks a patent—or those recommended by the International Search Report. For Spanish applicants, this application phase must begin before the 30th month following the filing of the Spanish patent.